NeoBux is a free and trustful Pay To Click site, established since 2008 with various types of earning online money. 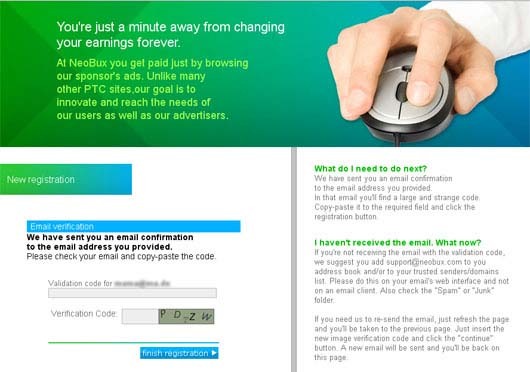 As a member of NeoBux you get paid to view advertisements for a short period of time which is specified by the advertiser, simply put, the longer the time the more money you make. Username: The username you choose. Payza/PayPal/Skrill Email: Enter your Payza, PayPal or Skrill address. You can change it later. If you do not have either, put your e-mail address for now. Birth Year: Enter your year of birth. Image Verification: Enter the Verification Code in the image to confirm you are not a robot. Validation code for: Now check your mailbox! Insert the code (copy/paste) that NeoBux sent to the email account that you entered during your registration. After verifying, your account is activated and you are a Standard member. 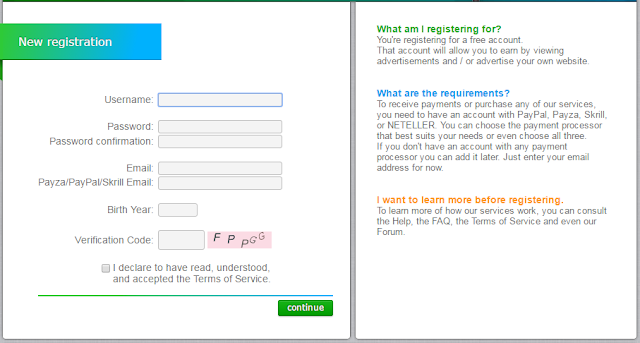 Step 6: Login to NeoBux account and click some first Fixed Advertisements (orange ads) to keep your account be active. On the top of the page you will see the Neobux logo with the letter O from NeObux becoimng a load bar. You must wait for it to reach the end (it depends on the type of ad, but it varies from 5 to 30 seconds). When the O becomes green, it means that the time for viewing the ad is over, and you have earned the money for it! 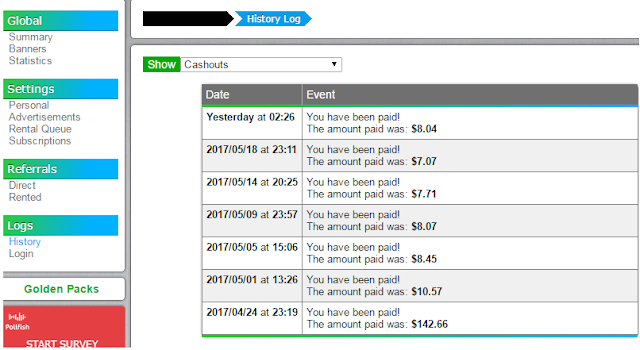 In the upper part of the page you will see the money you have been credited with and an orange button “Close”. You can click it, in order to close the page. Now move on to next ad! Please pay attention that after registration 30 days, if you don’t login to click any advertisement, your account will be temporarily suspended in 30 days (TOS 8.4). After 60 days of inactivity without any activities, your account will be permanently suspended (TOS 8.4).